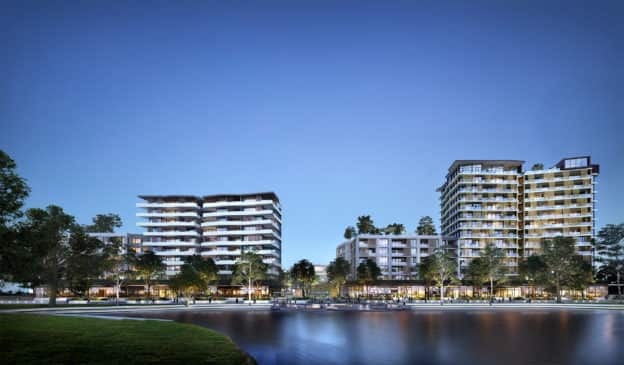 CABE’s $500 million lakeside development in Penrith, East Side Quarter (ESQ), has sold more than 60 per cent of stage 1 prior to their official launch. 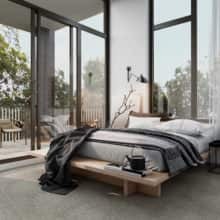 The 6.5-hectare urban village located at the foothills of the Blue Mountains and the doorstep of Penrith Panthers’ entertainment precinct offers benchmark design and postcard views designed from the ground up to meet the needs and desires of a new generation. 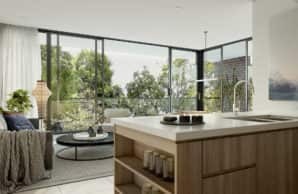 “A record apartment price for Penrith of $950,000 was achieved with the sale of a penthouse style, 3 bedroom apartment,” Colliers International residential project director Blake Schulze said. Penrith is currently reshaping its future as the heart of the New West. Multi-billion-dollar infrastructure projects such as Badgery Creek are forging stronger connections to wider Sydney and building a vibrant, activated city centre. Dynamic inner-city lifestyles, growing entertainment and enterprise hubs, a second Sydney airport, significant upgrades to university and hospitals, major road networks and more are creating a blueprint for the future that is placing Penrith firmly on the global map. “East Side Quarter appeals to all buyers from downsizers, to investors and first home buyers with oversized 1 bedroom apartments starting at $410,000,” Schulze said. “The strong buyer demand has been from the local market, with buyers quick to secure their apartments due to the urban community that ESQ offers with the connection to the Panthers Precinct,“ PRD Nationwide Penrith managing director Darren Latty said. 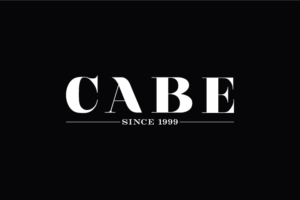 “The sales success is a true testament to CABE’s development vision and the Turner Architects’ design, appealing to owner occupiers with a strong uptake from downsizers,” he added. As Penrith’s most visionary and bold new precinct, ESQ offers an all-encompassing lifestyle and residential quarter that will excite, involve and engage on multiple levels. Architecture firm Turner is creating transformational spaces of a type and scale never before seen. The masterplan for 850 one, two and three bedroom apartments maximises amenity for residents both inside and out. The vision is for a whole new urban experience that draws strength from a charismatic relationship between nature, its built form and multi-layered public and private spaces.